New Fall Collection: Fashion Formula Skirts, Volume 2! 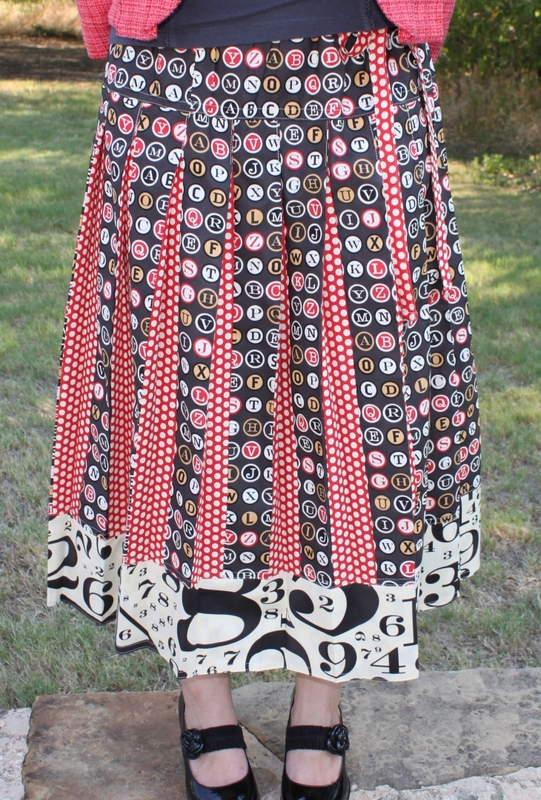 The Fashion Formula Skirts booklet that I released last fall was so popular, I decided to see if I could come up with another volume of easy to sew skirts. I had so much fun coming up with new ways to get a cute skirt from just strips and rectangles! If you are familiar with the first booklet, there are NO pattern pieces required as all of the skirt pieces are cut with a rotary cutter, ruler and mat, based on your hip measurements. There are four designs in the new booklet and all of them feature a yoke and the option of an elastic or drawstring waistband. First up is the Jolie Pouf Skirt. This is a double layer skirt with simple pleating along the lower edge of the overskirt to create the scalloped edge. I love to use high contrast fabrics for this skirt. I think that it would be fabulous in cotton voile. Little covered buttons or fabric flowers at each scallop would be a lovely added touch as well. Next is the Gabrielle Godet Skirt. This one is made from tapered panels with the insertion triangular godets between along the lower edge. The black version has eyelet fabric for the godets and lower edge ruffle trim. It is fun to mix textures of fabric with this one. I think a beautiful skirt could be made from a lovely heavy silk with lighter silk (maybe dupioni) godets. 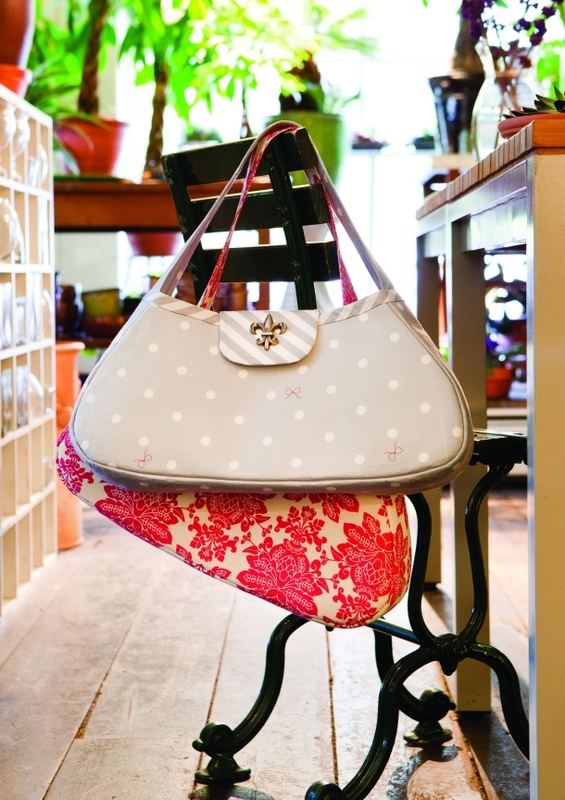 It would also be great made from linen or a lightweight wool or twill for a wonderful fall look. I also included covered button accents above each godet on one of the skirts just to add a little more detail. The Corinne Pleated Skirt is made from pre-cut 2 1/2" strips, or you can cut your own. This is a great way to use a pre-cut strip roll, if you have any lying around. You get to enjoy the whole collection of fabric all in one skirt! 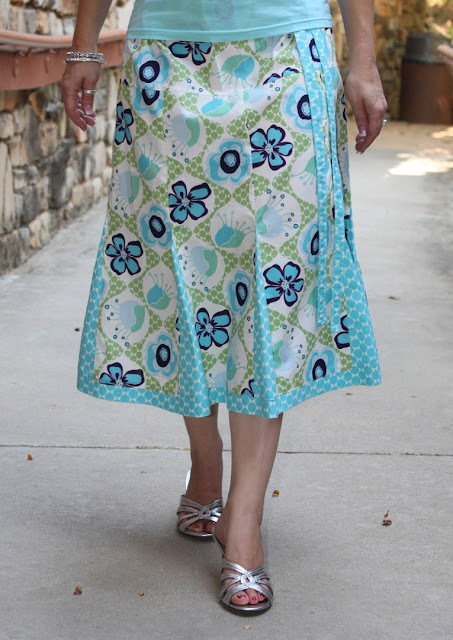 I have included options for a contrasting hemband, frayed seams for a shabby look, and one skirt that I cut the strips from two fabrics to get a great alternating pattern. 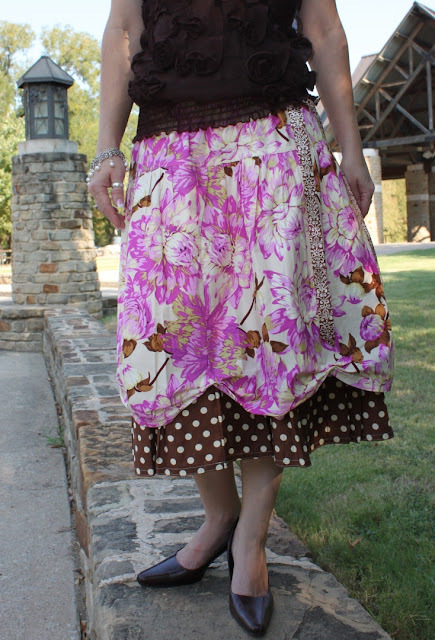 The Adrienne Pieced Skirt is the last in the group. This design uses the technique of paper piecing. Don't be afraid if you have never done this before, as it is a snap to do! I chose a diagonal pattern for my panels so the skirt would have a chevron pattern when sewn together (reminiscent of the Missoni craze going on right now). I just used my extensive stash of black and white fabrics and put a pop of color in each panel as I went along. I love the result! I think it would also be fabulous done in bright colors with a pop of black here and there. 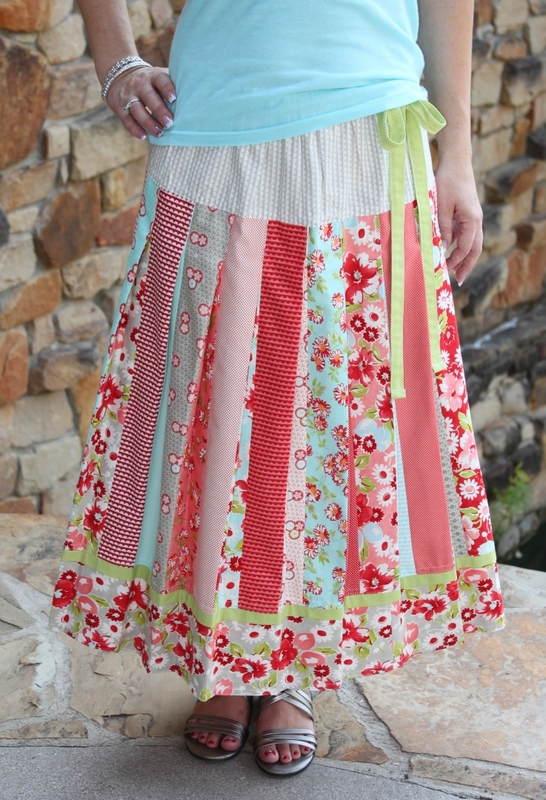 This is a fun skirt to make with endless possibilities on the piecing aspect. It is a great way to use up that stash of little scraps you have! We should have the booklet in stock very soon....will let you know as soon as it arrives! 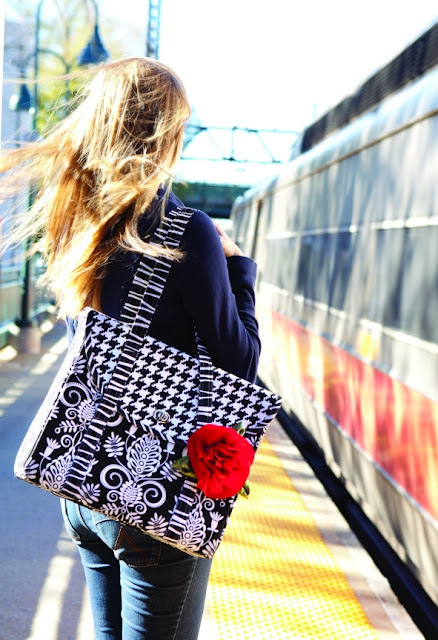 New Fall Collection: Meet Madeline! The first of the new fall collection is the Madeline Maxi Dress. I designed this one for myself this summer as I found that most of the maxi dresses were just too crazy and loose for my liking. Once it was designed I just loved the way it came together, so I decided that it had to be a pattern! 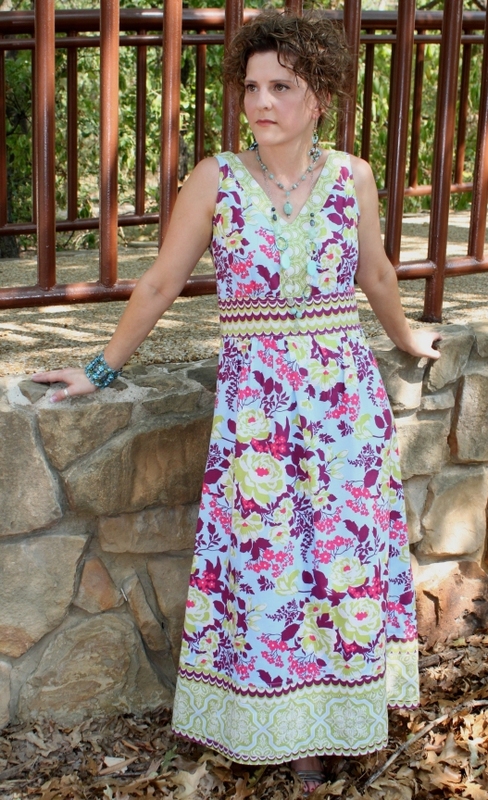 I love wearing this dress and it never fails that I get compliments everywhere I wear it...you will too! It is a snap to sew together. The waist is slightly raised to give you the slimmest waistline profile and you have two choices for the skirt length. Several choices are offered for the hemband. This dress zips up the back and if you follow my tutorial for inserting the invisible zipper, you will be feeling like Super Seamtress!! As usual, there are numerous ways for you to mix and match your favorite fabrics to make your own unique creation. Here is a gallery of the shots taken for the pattern cover. I am doing the full leaflet for the pattern again so you get a lot of different images as inspiration. This design is currently at the printer and should be here within 2 weeks. We will be sure to let you know when it is available for purchase. Just wanted to check in really quick and let you all know that the new book, Sew Serendipity Bags just arrived here yesterday. It is up for sale on the website and signed copies are ready to ship! Go here and order yours right now!! The book is beautiful and completely packed with great designs and techniques. 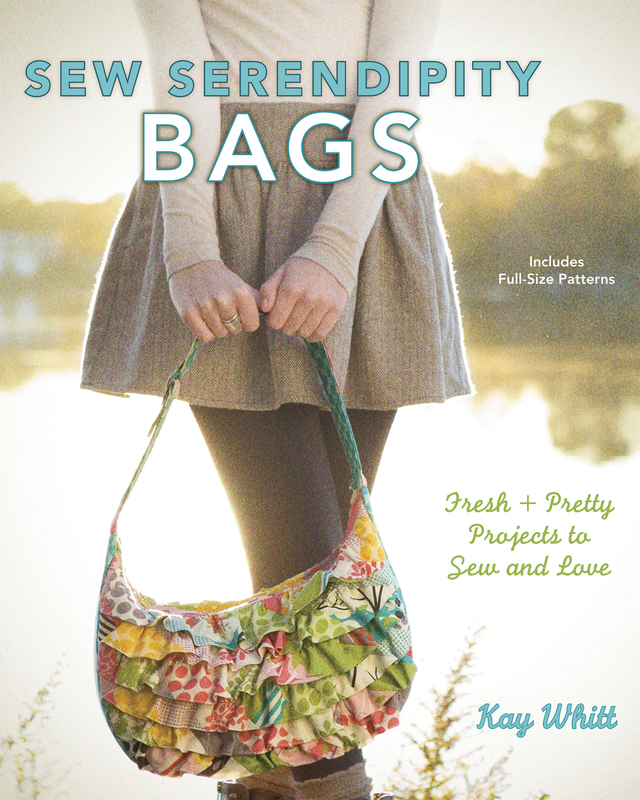 It is the perfect companion to Sew Serendipity and I just couldn't be prouder! I can't wait for some of you to get some projects made and posted to the Facebook page. It is always so fun to see what all of you come up with. I am so grateful to all of you for purchasing my designs and making them your very own. This book is even dedicated to all of you as a token of my appreciation! The new book has projects to suit everyone's skill level as they are divided into sections: Simple, Intermediate, and Challenging. I have built in skills and the use of lots of great tools to make your experience an enjoyable and successful one. I will be introducing the new fall designs in the coming days that will be available starting mid-October, so stay tuned! I just entered the numbers on random.org and we have a winner for Nancy's book! Kathryn says, "My sewing career started as a garment sewer in 4H. I still love it. Nancy is a favorite of mine on PBS." Congratulations, Kathryn! Please contact me here and send your mailing address. I just know you are going to love Nancy's book! Stay tuned! 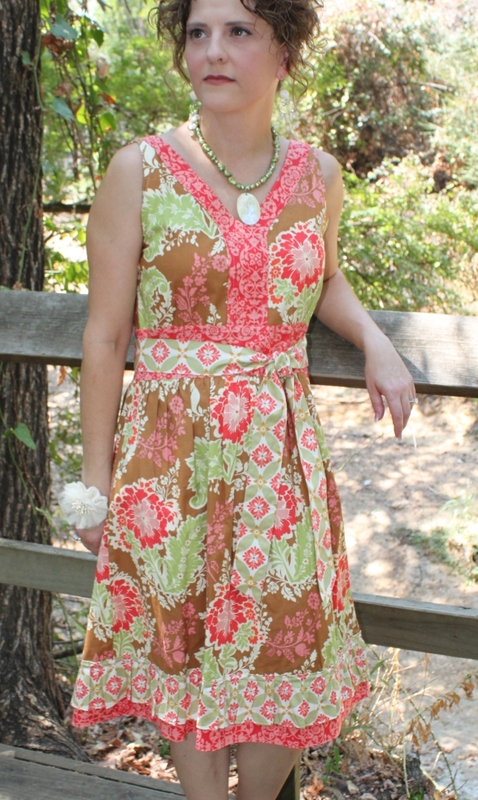 I am putting the finishing touches on the new patterns before they go to print....sneak peek VERY soon!